Karen Haller | Interiors | Karen Haller Colour and Design Consultancy is based in West London, UK, working with home owners and businesses to create unique interiors. What's the first impression your customers get when they step into your office, boutique or store? Is it one that immediately maximise sales and retains their loyalty? Do your staff areas build morale, inspire motivation and increase productivity? 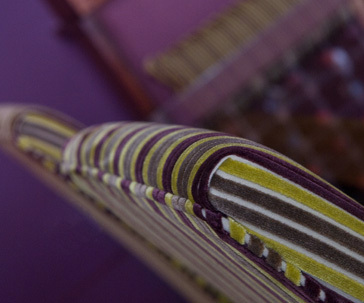 We understand the importance of colour and the impact it has on your clients and your staff. Do you? Because if you don't your competitors will. At Karen Haller Colour & Design we understand how vital colour and branding is in the interior design of your business or boutique. When potential customers walk through your door, it's your first opportunity to make a sale. Get it right and you will maximize every sales opportunity. Get it wrong and even your ideal customers won't walk through your door. Karen Haller has over 20 years of experience studying colour and it's this expertise she uses to transform the interior of your business, boutique or store to ensure the most suitable environment is created for your customers and staff. As a Prince 2 project manager Karen can fully manage the project from start to finish. Check out some of Karen's business branding colour client success stories. Read my business interior blog articles.